I would not hesitate to recommend the Toronto Carpet Factory to organizations interested in leasing exceptional office space. The Carpet Factory is a great place to attract the right people for me to grow the business. Our staff love the Carpet Factory, our clients love it and we love it. We wouldn't consider being any place else. 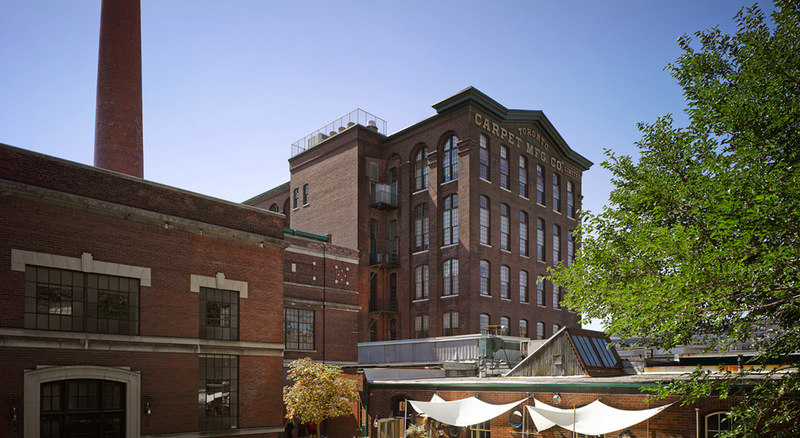 The Toronto Carpet Factory has been the home to our interior design studio for over 17 years. We love the location for a multitude of reasons. I would highly recommend the Toronto Carpet Factory to any business looking for a home. Two sisters came together to create Louie Craft Coffee. Stop by and sample the best coffee in Liberty Village! Stop by School Bakery and Cafe for lunch with co-workers. 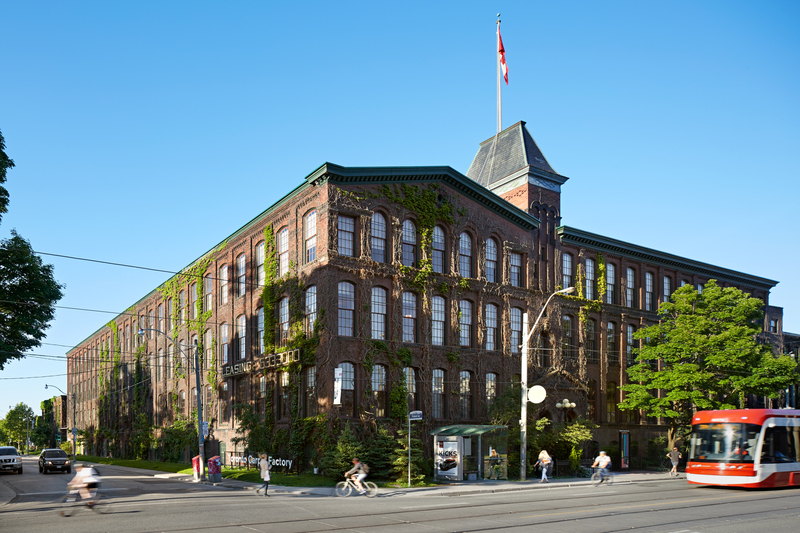 We’d love to show you around the Toronto Carpet Factory. Let us know what you’re looking for and we’ll schedule a tour at your convenience. For further information, please contact Sander Cruickshank at (416) 533-3000 or sander@torontocarpetfactory.com. Liberty Village is Toronto’s most wired community with extremely fast, secure and economical connectivity. 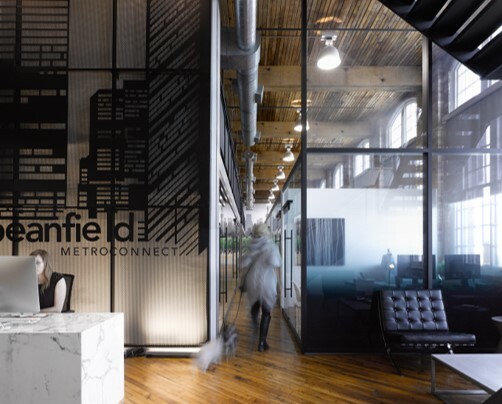 Located on the 4th floor of 67 Mowat Ave., Beanfield Metroconnect serves as a high capacity, building-centric Internet Service Provider with a fibre optic network running throughout the Liberty Village community. We like to think we’ve been practicing environmental stewardship since we bought our first heritage building in 1980. Sustainability has always made sense to us and it has always been a part of the way we work. We have programs in place to handle water and energy efficiency, waste management and green procurement. We’re careful to follow strict recycling practices for paper, cardboard, glass and cans. We partner with iRecycle Computers to responsibly dispose of unwanted computer and electronic equipment to ensure they’re diverted from landfill. We have installed permanent recycling bins at the Carpet Factory for small e-waste, and we continue to offer routine collection of large items. We collect batteries and light bulbs as well. We made the switch to energy efficient lighting a number of years ago. 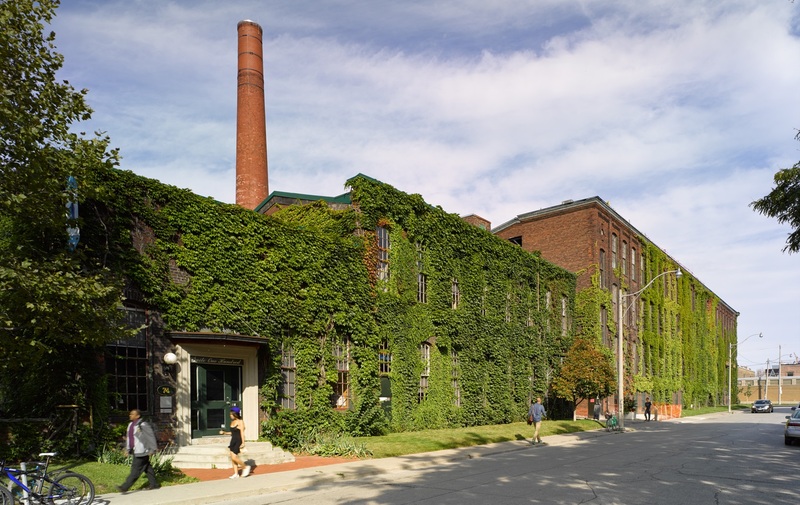 We installed new boilers at the Toronto Carpet Factory a few years ago and we’ve been delighted with the improvements we’ve seen in energy efficiency. We are members of Smart Commute Toronto so we can offer and promote sustainable commuter options and initiatives. York Heritage Properties became bullfrogpowered™ in 2008. 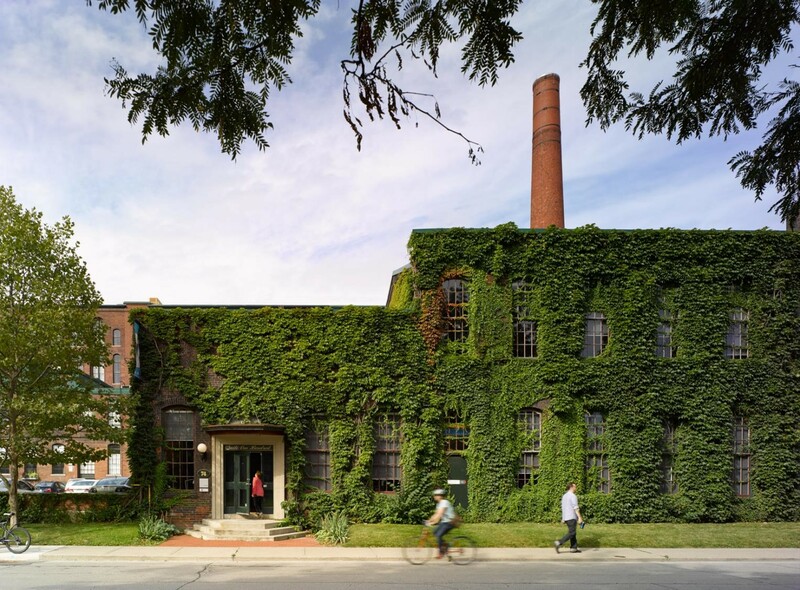 We chose to bullfrogpower our corporate office (Suite 340, 67 Mowat Ave.), the Toronto Carpet Factory management office (Suite 100, 67 Mowat Ave.), and the Resource Centre at the Toronto Carpet Factory with 100% green electricity. A few Carpet Factory tenants have opted into the program as well. We aim for the continuous improvement of our environmental performance. 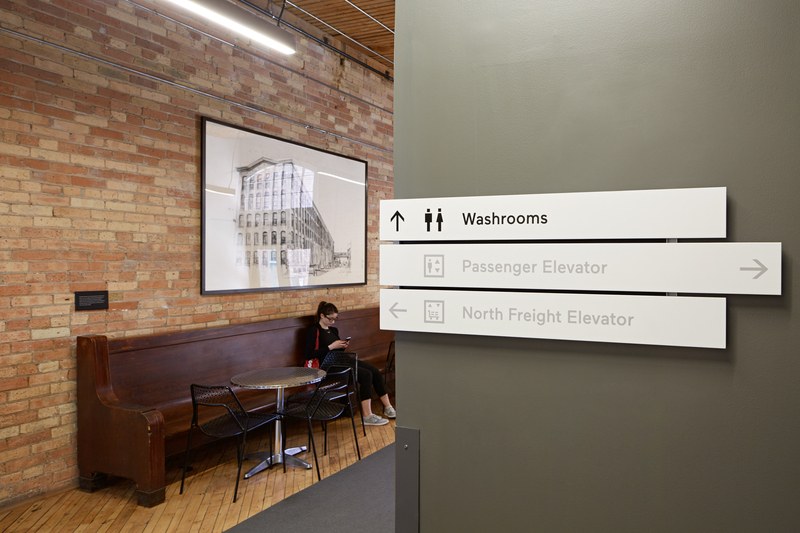 Liberty Village has become the address that forward-thinking companies want on their letterhead – companies like II BY IV Design, Mosaic, Jam Direct, Softchoice, Faulhaber Communications; companies that can afford to be anywhere are choosing Liberty Village. The area represents one of Toronto’s fastest-growing employment centres, an indication of its appeal. 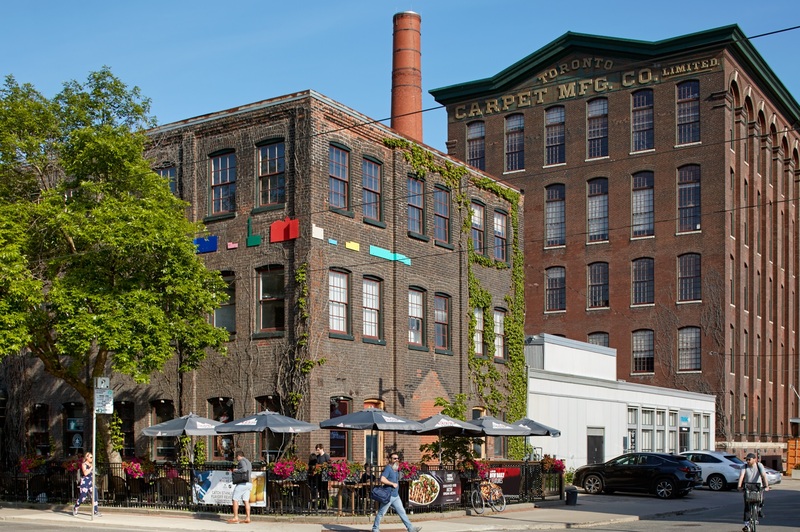 Liberty Village is a former industrial and manufacturing area only a few minutes from Toronto’s downtown core. 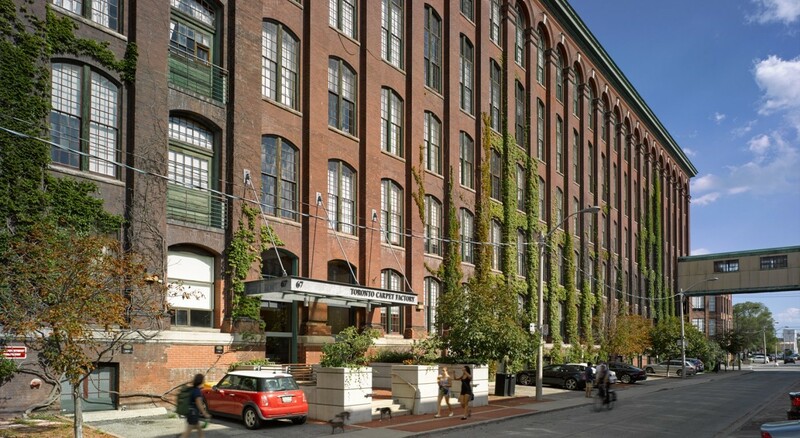 While the early 20thcentury buildings have been converted to modern office and commercial spaces, the surrounding brownfield lands have undergone high-density residential development. An exciting community of new-culture companies is located here – some of the most innovative and dynamic businesses of the 21st century. The sense of community, feeling of security and campus-style office accommodation make it easier to recruit and retain employees, a fact noted by many of the large corporations in the area. Canada’s only non-retail Business Improvement Area (BIA), in partnership with the City, has brought street improvements, sidewalks, trees, way-finding signage, annual street parties… a sense of community. 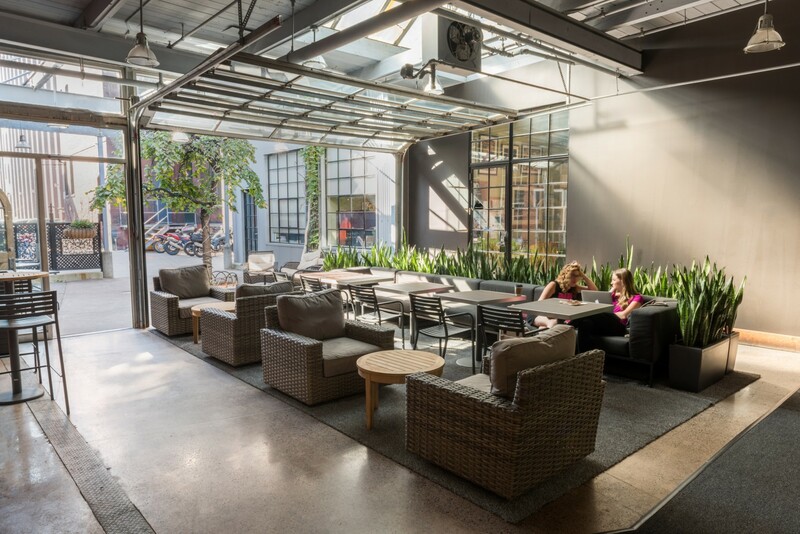 York Heritage Properties acquires, renovates, retrofits and manages architecturally interesting older buildings in Toronto to provide a dignified, sophisticated alternative to conventional office space. For more than 25 years, the company and its dedicated principals and team have worked actively and enthusiastically as restorers and renovators of designated heritage structures and architecturally significant older buildings in the City of Toronto. development company that is committed to shaping a vibrant and transforming urban Toronto. The Hullmark team are city builders and city dwellers, and they believe in the potential of Toronto. They are passionate about designing and enriching the places we invest in and call home.